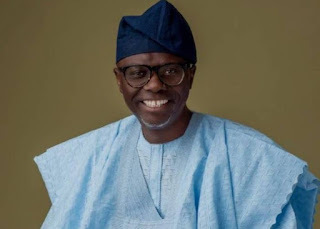 Thirty-six out of the 40 lawmakers of the Lagos State House of Assembly have declared their support for Babajide Sanwoolu to emerge as the next governor of the state. The lawmakers took the decision at the parliamentary meeting held on Saturday at the Lagos State House of Assembly Complex. They resolved “to support the position of the Leadership of All Progressives Congress and the Governor’s Advisory Council in Lagos State on the endorsement of Mr. Babajide Sanwoolu as the APC Gubernatorial candidate in the 2019 election”. Among those at the meeting was the Speaker of the Assembly, Mudashiru Obasa.